Just of the giant Mounthooly roundabout. 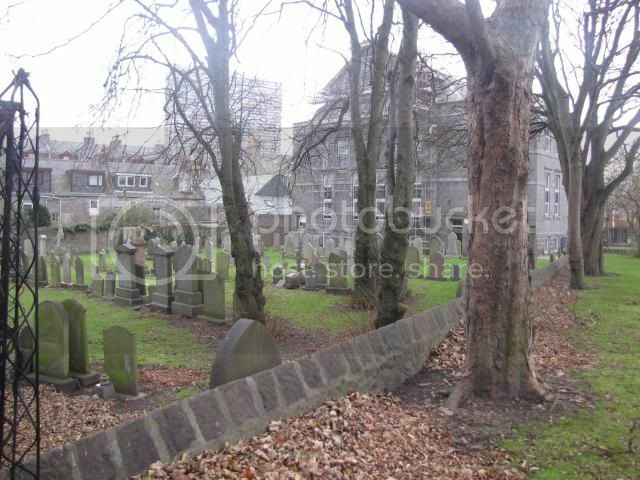 The church (opened 1911) is now converted into flats and the cemetery is a haven of peace away from the city traffic. 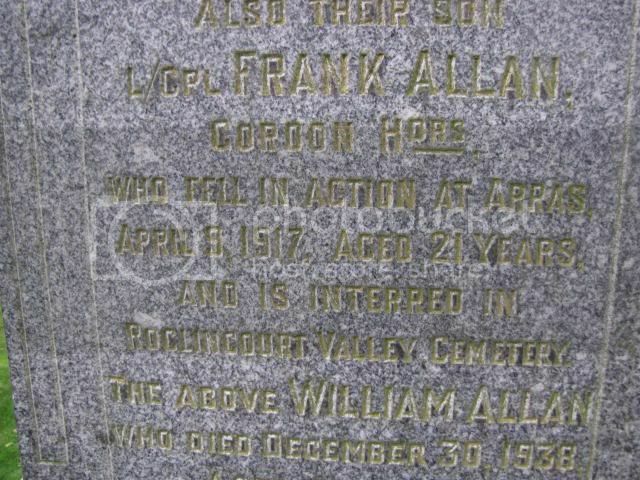 There are three WW1 burials and one from WW2 along with several family headstones. Regiment/Service:Guards Machine Gun Regiment 4th Bn. Grave Reference D. 25 A. 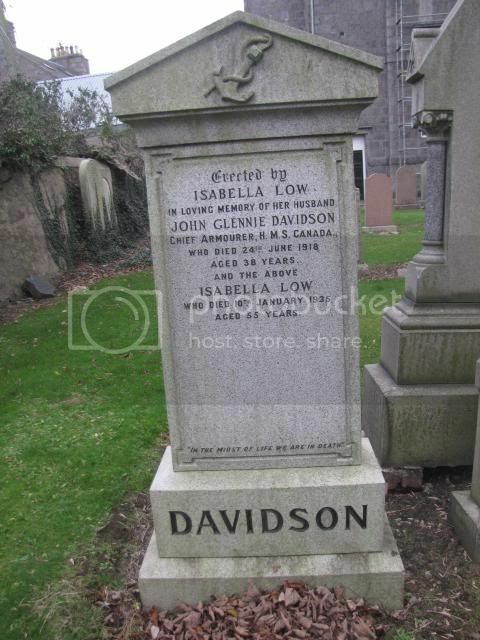 Additional Information:Husband of Isabella Davidson, of 36, Summerfield Terrace, Aberdeen. Theatre of death	R.N. H.M.S. "CANADA". 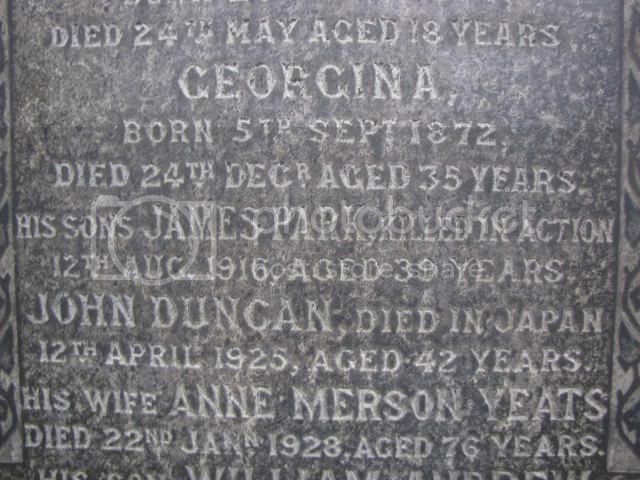 Additional Information:Son of Michael Keenan; husband of the late Gorden Fiddes Keenan. 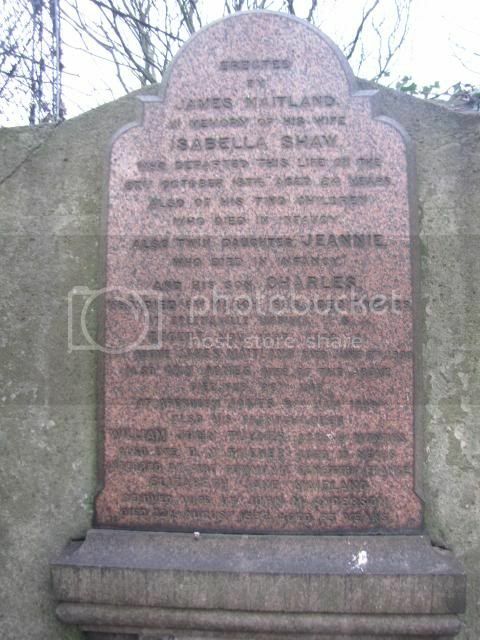 Born at Aberdeen. Regiment/Service:Royal Artillery 54 Heavy Regt. 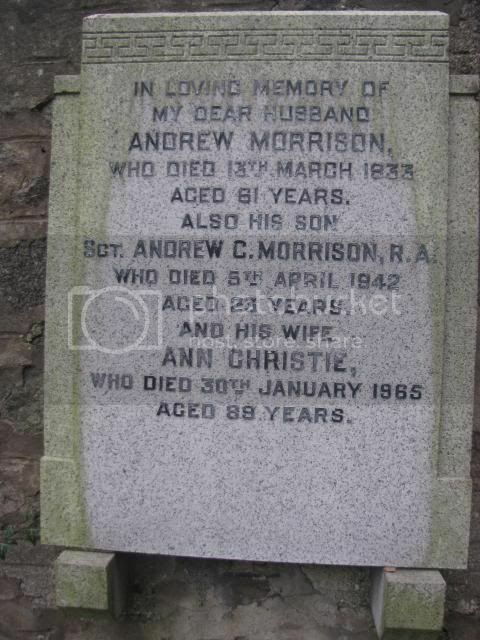 Additional Information:Son of Andrew Morrison, and of Annie Morrison, of Aberdeen. Grave Reference I. B. 13. 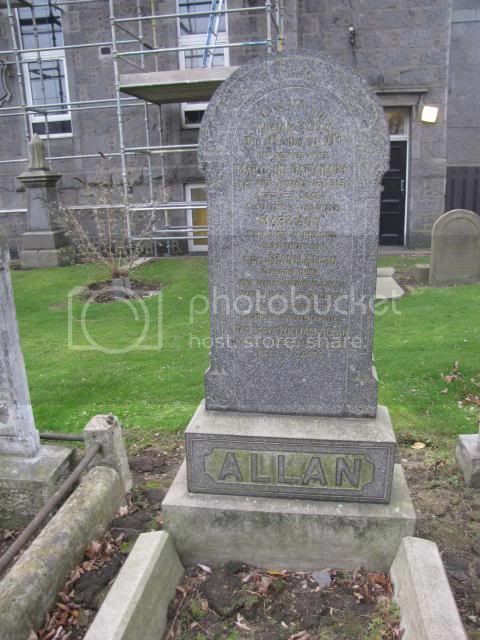 Additional Information:Son of William Allan, of 1, Stafford St., Aberdeen. 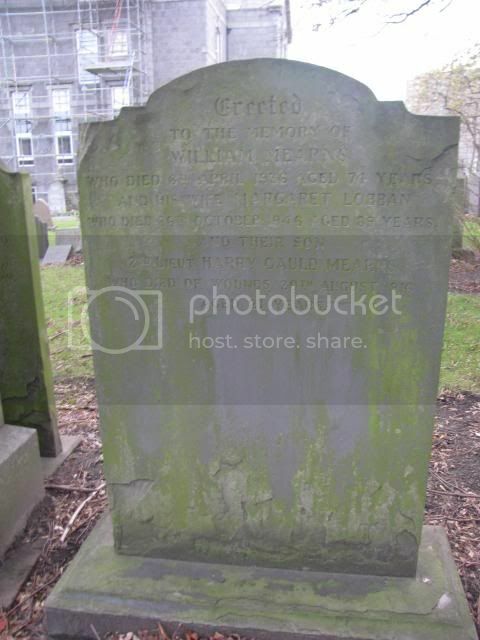 Grave Reference III. D. 9. 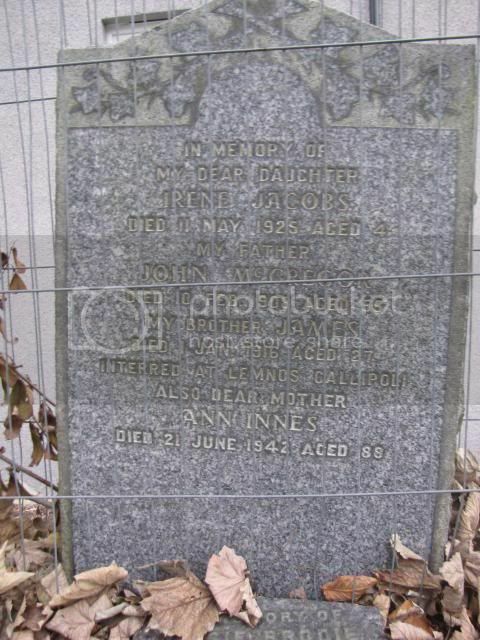 Additional Information:Son of William and Catherine Duncan, of Cawdor, Nairn. 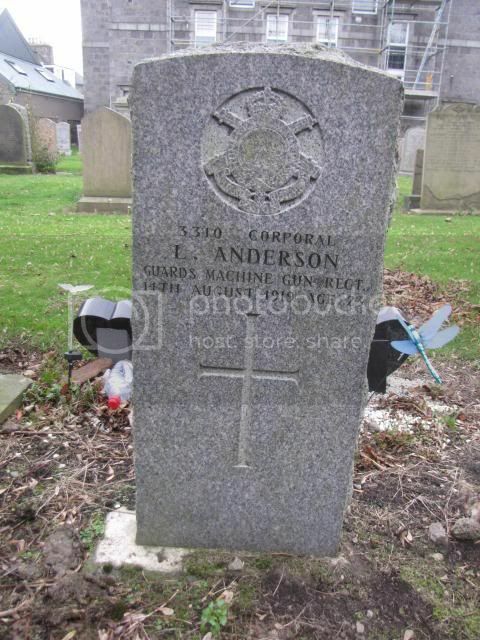 Native of Bankhead, Aberdeen. 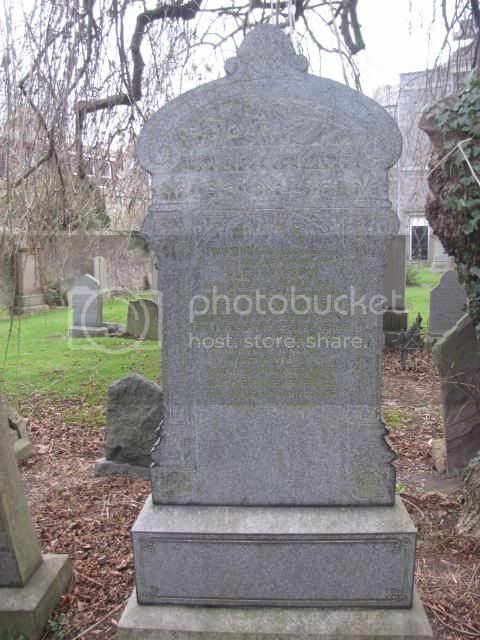 Grave Reference III. B. 300. 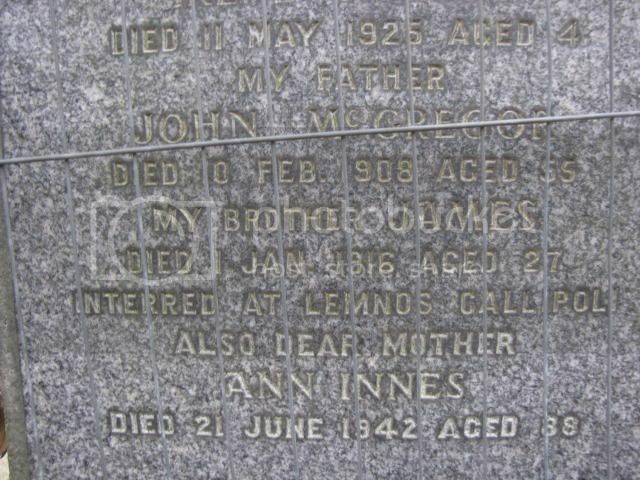 Additional Information:Son of John and Annie McGregor, of 2, Short Loanings, Aberdeen. Regiment/Service:Royal Garrison Artillery V/9th Heavy Trench Mortar Bty. Grave Reference VIII. J. 4A. 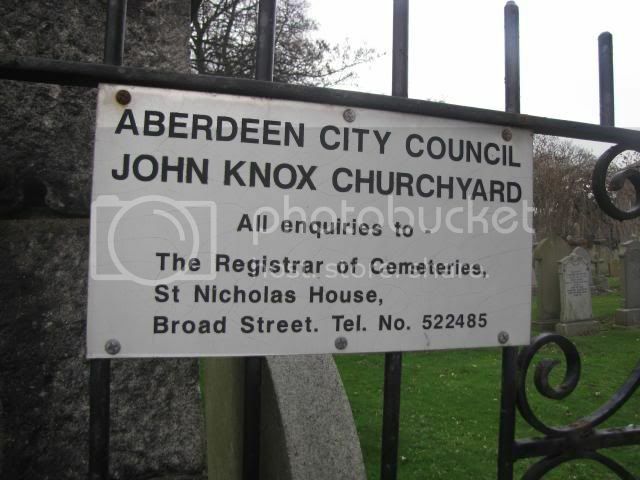 Additional Information:Son of Isabella and the late Alexander McKenzie, of 30, Dee St., Aberdeen. Other	formerly 402376 2nd Highland Field Coy. R.E. Regiment/Service:Royal Canadian Air Force 429 Sqdn. Grave Reference Sec. C. Row G. Grave 4. 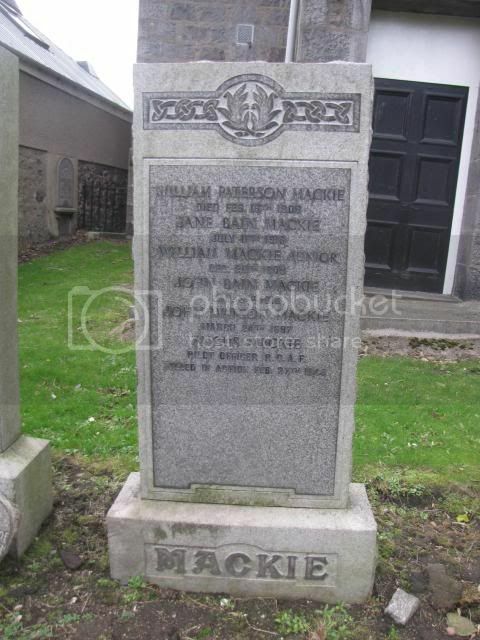 Additional Information:Son of Norman and Jessie Mackie, of Toronto, Ontario, Canada. Regiment/Service:Black Watch (Royal Highlanders) 1st/7th Bn. 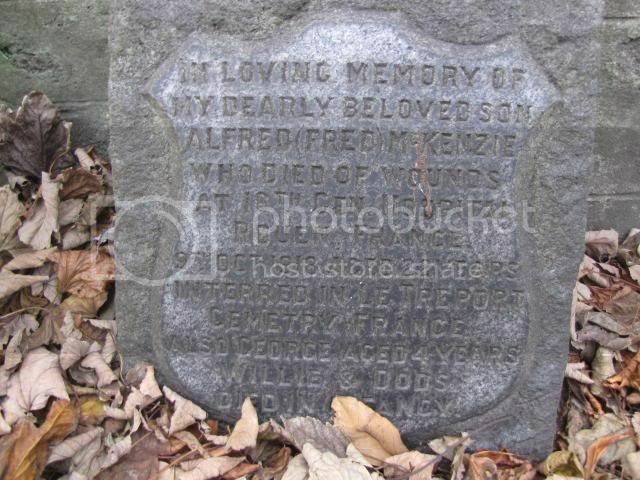 Grave Reference II. G. 3. 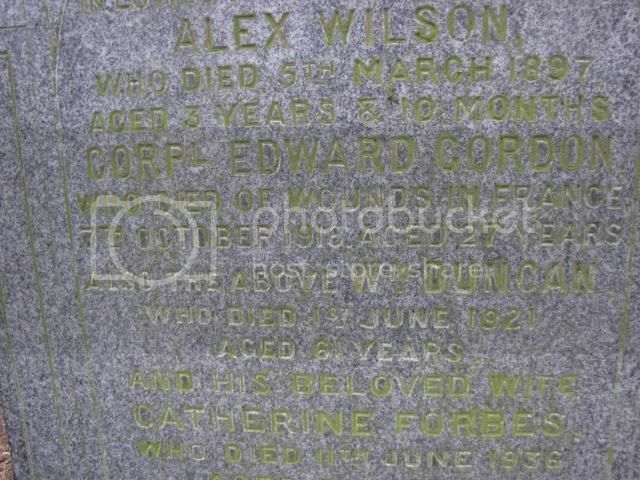 Additional Information:Son of Mr. and Mrs. James Tucker, of Aberdeen. Other	7th Bn. formerly S/15958 Gordon High. Other	latterly S/23440 7th Bn. The Black Watch (Royal Highlanders). 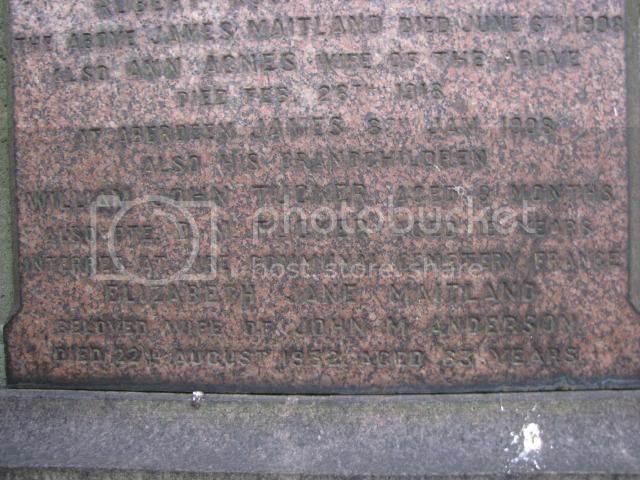 Grave Reference II. A. 19. 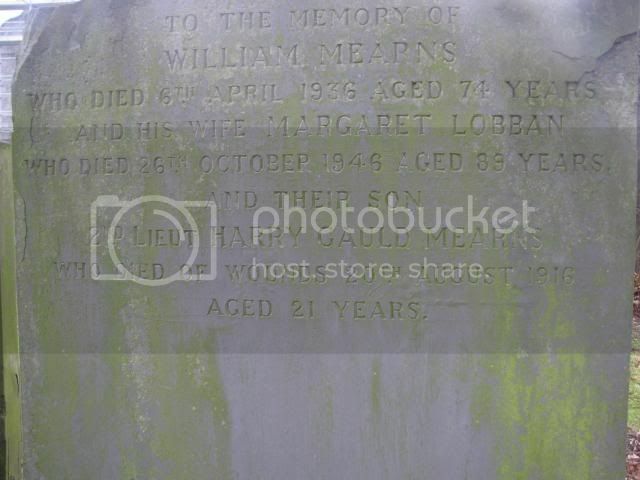 Additional Information:Son of William and Margaret Mearns. Born at Aberdeen. 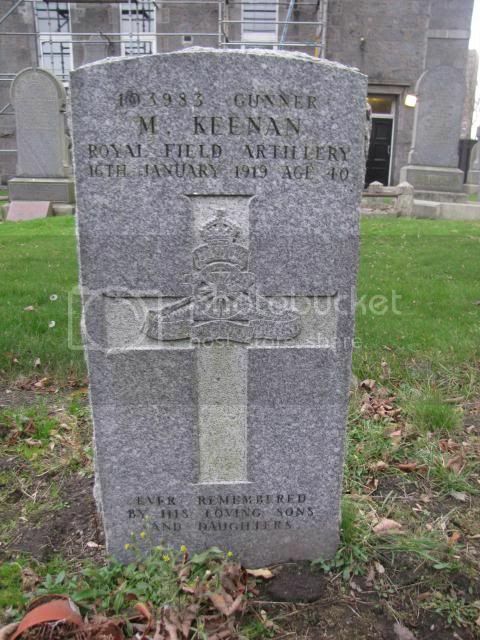 Regiment/Service:The King's (Liverpool Regiment) 13th Bn. 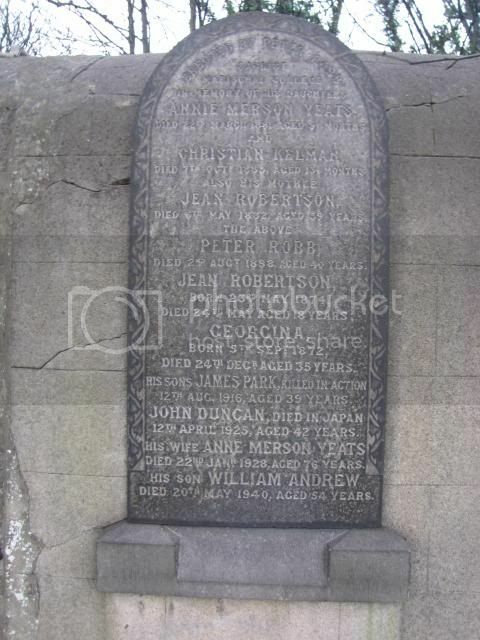 Panel Reference Pier and Face 1 D 8 B and 8 C.
Additional Information:Son of the late Peter Robb and of Anne Robb, of 478, George St., Aberdeen.